For instance, all under-construction projects, irrespective of whether some of their individual towers/phases have received OC, have been covered under the Act. Full project-level disclosures have been mandated. Even older sales of units need to be disclosed in terms of monies received, and the area basis – read carpet area, super built-up, etc. – needs to be disclosed in full. Also, all information for under-construction phases/wings will need to include the amount of work completed and certified by the project’s architect. The cost mentioned as required for completion must be backed by a certificate from the engineer and developer’s chartered accountant. The developer must also provide a certificate from a Chartered Accountant clearly mentioning the balance amount of receivables from the apartments sold or allotted for which agreements have been executed. The developer must make all project disclosures within 90 days from the commencement of the Act, and cannot market or sell units if, after 90 days, the new phase has not been registered under the Act. Before money can be withdrawn from the escrow amount, the developer must furnish certificates from the project’s architect, engineer and chartered accountant must be furnished with regards to the cost incurred in construction and cost of project and land. The chartered accountant will also need to certify the proportion of the cost incurred on construction and land cost to the total estimated cost of the project. The total estimated cost of the project multiplied by such proportion will determine the maximum amount which can be withdrawn by the developer from the escrow account. In the current draft, the amount of money to be deposited in escrow has been kept at 70% of the monies received from buyers. If the amount to be collected from allottees is lower than the cost of construction, the entire amount must be kept in escrow. The developer must make an application to form the cooperative society or any required legal body within 2 months from receipt of the occupation certificate (OC), or if 60% of allottees have taken possession after payment of the full consideration, whichever is earlier. 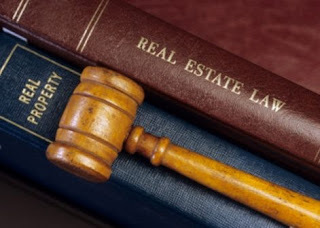 This clears up a major area of ambiguity which has so far been a real challenge for residential property buyers in Maharashtra, and clearly puts their interests first. Another very progressive provision in this draft is that under the Act, a model Agreement to Sale will need to be followed for all sales, and the developer cannot change any clauses in it. Though Maharashtra missed the deadline for announcing the State’s rules for RERA, it should be commended for following the Centre’s RERA Act most closely in letter and spirit. The draft under discussion covers all under-construction projects where most of the issues of trust deficit have historically arisen. However, it stays quiet on projects where possession is already offered or occupation certificates have been received prior to the Act being passed. This limits the retrospective coverage for such projects. While it has maintained the previously stipulated 70% escrow limit, it allows for withdrawal by the developer where the method includes land cost to be added in the project cost. In a city like Mumbai, where land cost and cost of FSI/TDR are a very high proportion of total project costs, developers will be able to withdraw a substantial sum before actual construction of the project has commenced. This is, however, in line with the Centre’s Act.